Luis Enrique announced his squad on Saturday morning for the game with Athletic Club on the same afternoon at 4.30pm CET. Although Sergio Busquets, Andrés Iniesta and Lucas Digne are all well on the road to recovery, none of the trio have been deemed ready to return to action quite yet, while goalkeeper Jordi Masip has also been left out of the list of eighteen. 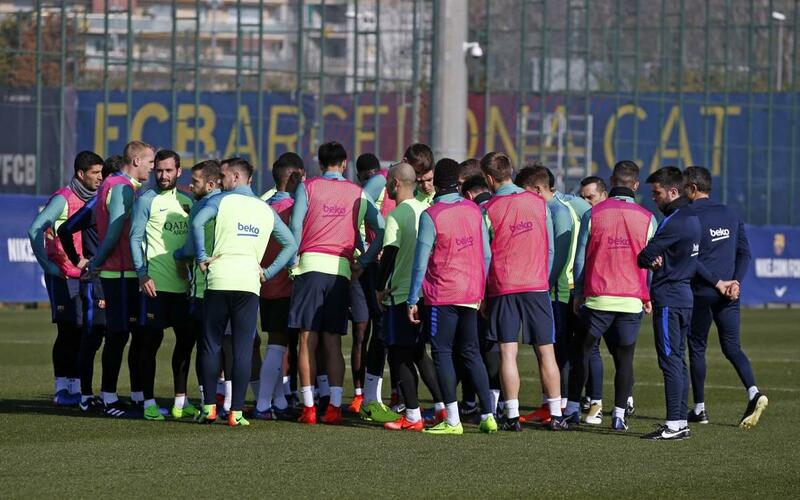 The full squad is therefore as follows: Ter Stegen, Cillessen, Piqué, Rakitic, Denis, Arda, Suárez, Messi, Neymar Jr, Rafinha, Mascherano, Paco Alcácer, Jordi Alba, Sergi Roberto, André Gomes, Aleix Vidal, Umtiti and Mathieu. It’s another must-win situation for Barça, who despite having a crunch Copa del Rey semi-final second leg at home to Atlético to come this weekend, know that they need three points to maintain the pressure on leaders Real Madrid, who have a tricky road trip to Celta to worry about this weekend.